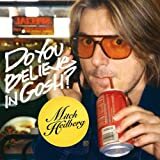 New Posthumous Mitch Hedberg Album! Do You Believe In Gosh? 4.5 Stars on Amazon.com. Released September 2008. Very funny, as we would all expect.